I totally agree. 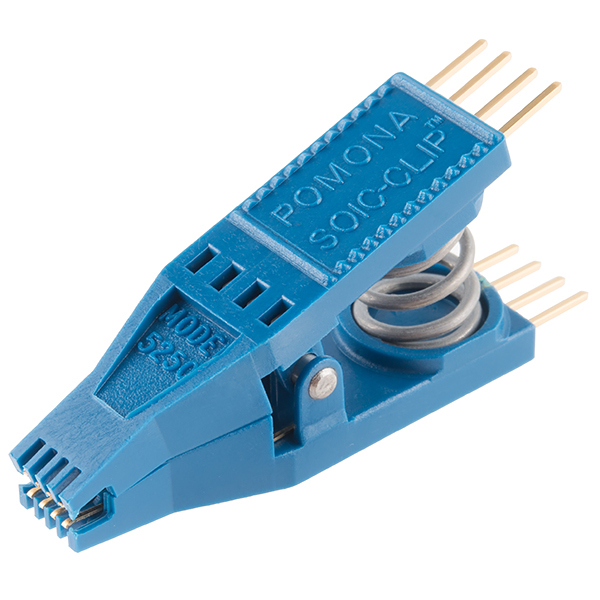 I just bought one of these a month ago at digikey to program some boards i built that use the soic attiny85. My boards are small and this clip works perfect. 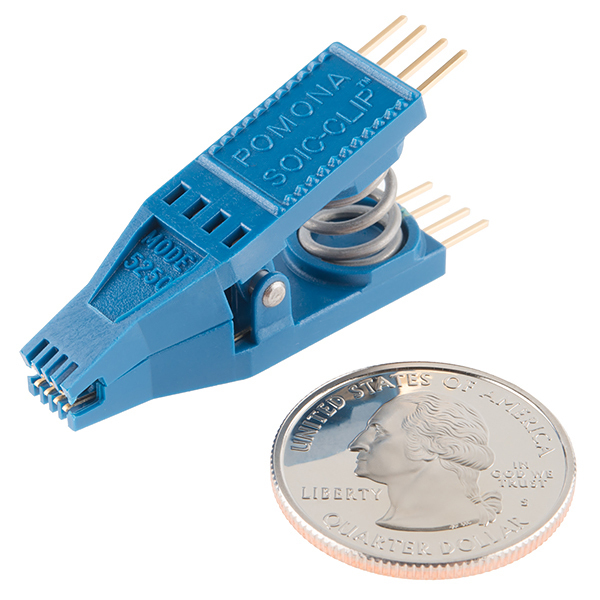 Would it be possible to include a picture of how the clip looks when seating a chip? I like the idea because DIP formats are getting rare for some dies. There's a nice photo of this clip in action in the Re-Programming the LilyTiny / LilyTwinkle tutorial. Okay, so this just clips onto a mounted IC's leads. It's not really a substitute for a SOIC ZIF Test Socket for prototyping. Still a neat little programming attachment. After reading reviews on Amazon and a few other sites, I had some concern about how well an IC test clip would work. After seeing the picture of this one connected to the ATtiny85 (https://cdn.sparkfun.com/assets/learn_tutorials/2/7/2/Reprogramming_the_Lily_Tiny-02.jpg), I decided to give it a try. The ATtiny85 in that picture is 208 mils wide, while our SOIC package is 150 mils wide. This IC test clip works like a charm. The connection is reliable; I have yet to need to reseat it. I have also not seen any damage to the IC pins or pads. Getting the clip mounted on the IC is quite easy. The way the clip is designed, the compression from the large spring is applied to the body of the IC, not the pins, via the plastic legs at the end of the clip. The pins receive much smaller forces from the springy contacts at the end of the clip. The plastic legs at the end also go around the curve at the edge of the IC body, keeping the clip firmly in place. The only thing I would change about this clip would be to add a pin 1 indicator so that once you have your wires connected to the headers it's clear which way it should be clipped onto the IC, but a black Sharpie took care of that easily enough. Having used this for both bench work and limited production runs, I'm very happy with it. I wanted to reprogram a couple Lily microcontrollers and thought it would be difficult but it was actually very easy with this clip and some jumpers and the TinyIsp from Sparkfun.